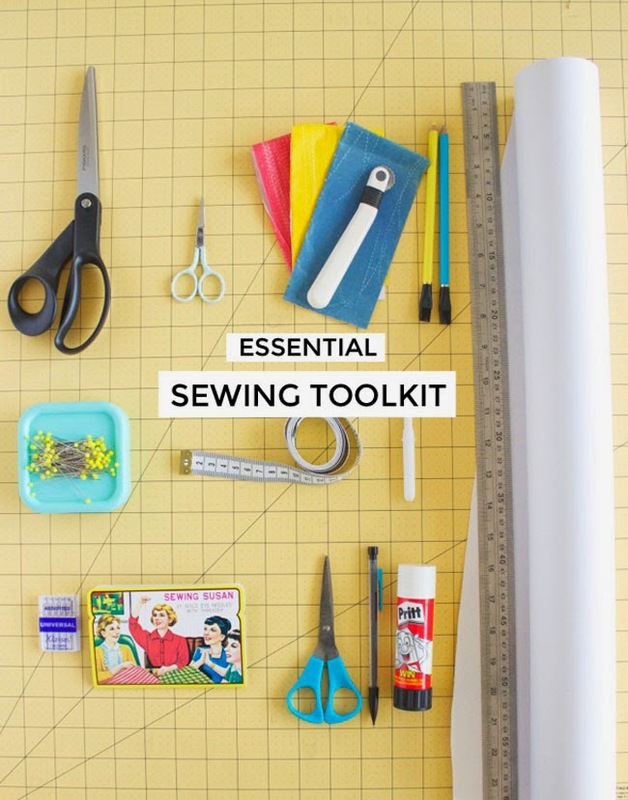 Wondering what you need in your essential sewing toolkit? 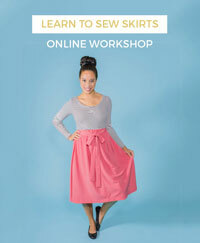 With lots of new people taking up sewing right now (hooray! ), we’re going back to basics today. One of the most common questions in my inbox and at our workshops is what tools you need to get started with - and which ones in particular I’m using in my photos. 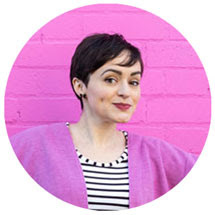 If you're just starting out, you may feel overwhelmed hearing about all the bits and bobs that are out there - from rotary cutters to seam gauges - and fear how they are going to impact upon your bank balance. My advice is to not worry about getting everything all at once, just start with the essentials and build up your toolkit gradually. Get yourself a nice pair of long scissors that you feel comfortable using. Classic tailor’s shears look super cool, but personally I find a lighter pair of dressmaking scissors with a soft grip more comfortable to use. 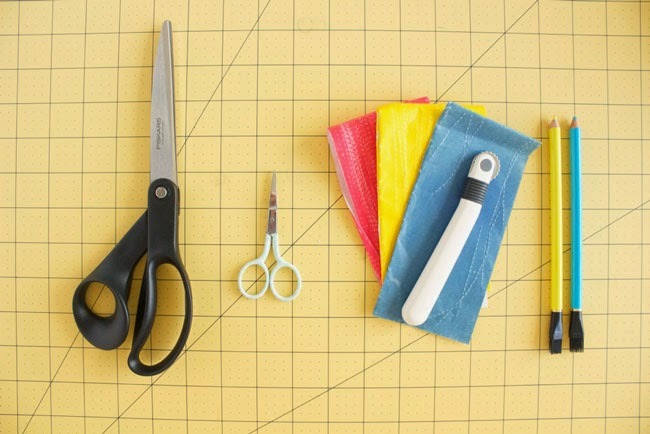 Use them to cut fabric only – not paper – so they stay nice and sharp. Arguably not an essential, as you can use your fabric scissors instead, but I do like to keep a small pair of polka dot scissors next to my machine for snipping threads. 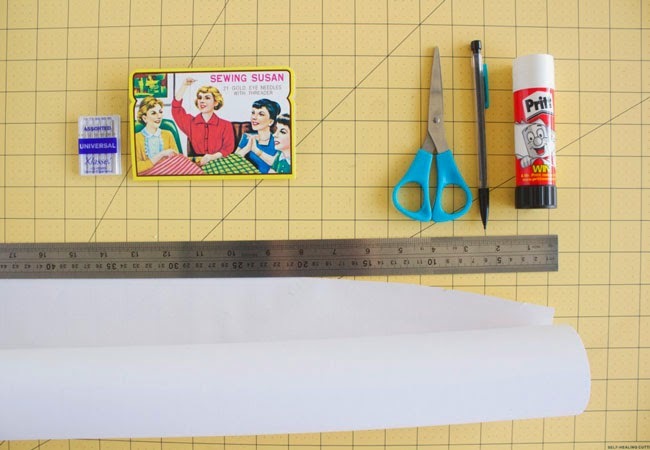 If you don’t want to scratch your kitchen table – or if you’re cutting out on the floor and need a smooth surface – a cutting mat is a great investment. My tip would be to get the biggest one you can afford so you don’t have to move it around so much when marking or cutting out larger pieces. You’ll need something to transfer pattern markings onto your fabric. My favourite option is dressmaker’s carbon and a blunt tracing wheel (read about how I use it for cutting fabric without cutting the pattern) - or you can use tailor’s chalk, chalk pencils, roller chalk, washable felt pens, air-erasable pens… Lots of options to choose from! Get the flexible kind so you can measure your curves – and the curves on a garment or pattern - accurately. Be aware that sometimes those crazy cheap ones you see online are cheaply made with an inaccurate starting point! I like to use coloured glasshead pins so you can spot them easily and so they won’t melt if you accidentally iron them (oops!). Many people use a classic pin cushion but I prefer a magnetic pin dish because I’m clumsy and am always dropping them all over the place. Whenever I demonstrate the seam ripper at a workshop, the whole room let’s out a collective sigh of relief. Ohhh... you can unpick mistakes – glory be! Unlike cheap tape measures, I’m yet to find a cheap seam ripper that doesn’t do it’s job properly. You can get different types of needles for your sewing machine, from size 60/8 for fine fabrics to size 110/18 for heavier materials, and ballpoint or stretch needles for knit fabric, for example. A pack of universal assorted needles in a variety of sizes should cover you for your first bunch of projects. 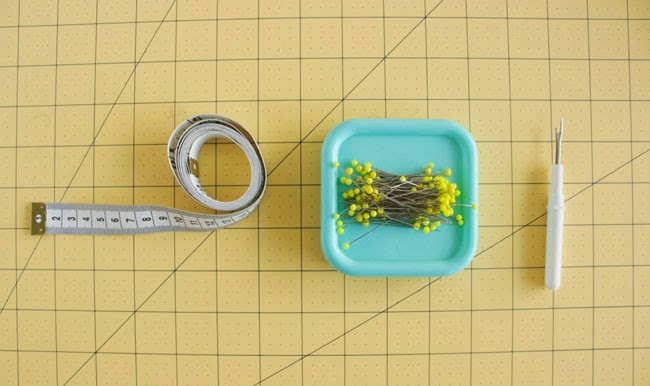 Depending on what you’re making, you might also need hand sewing needles for sewing on buttons, for example. These bits will come in handy for tracing sewing patterns in order to preserve or adjust them. Last but not least, pressing your sewing projects is essential for creating a neat-looking finish. Even if you don’t iron your ready-made wardrobe, be sure to use the iron as you sew your handmade clothes! This post contains some affiliate links, meaning that if you buy something from Amazon following one of the links, we get paid a small percentage of the sale in compensation. This doesn't cost you anything extra.